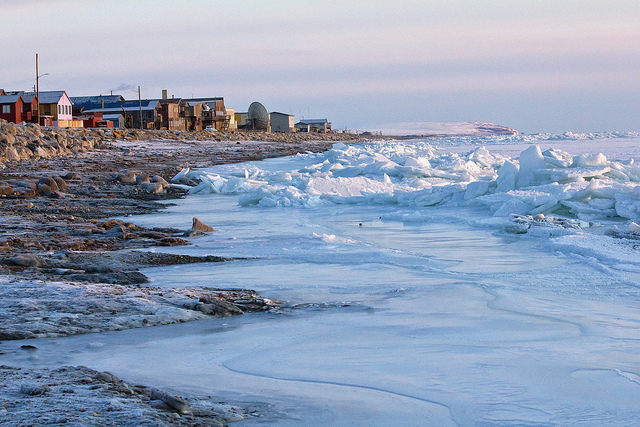 Nome's shoreline on December 1st was lined with large chunks of sea ice. Photo by David Dodman, KNOM Radio Mission. 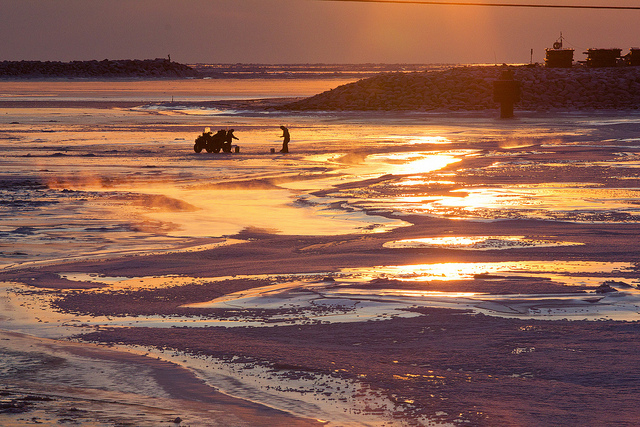 At the mouth of Nome's Snake River, two men on an ATV (or "four-wheeler") had ventured out onto the river ice. Photo by David Dodman, KNOM Radio Mission. 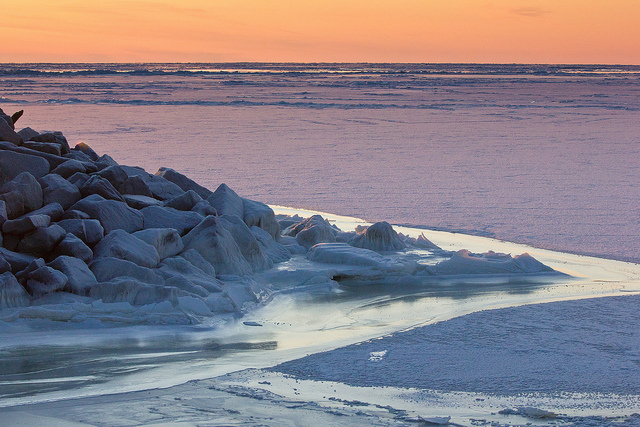 An unobstructed view from Nome's pier showed large expanses of Bering Sea ice stretching to the horizon. Photo by David Dodman, KNOM Radio Mission. 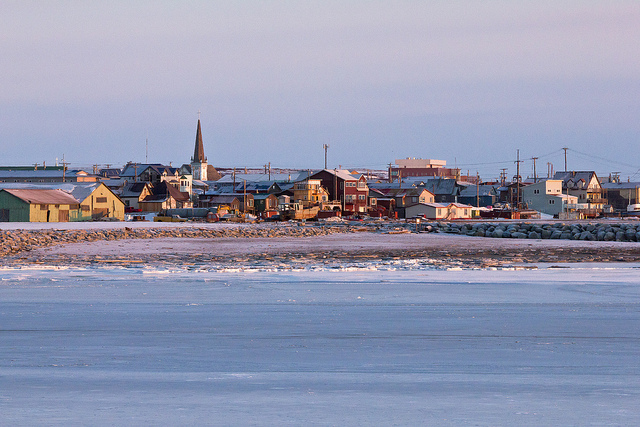 The city of Nome as viewed from near West Beach on December 1st. The city's coastal areas are now dominated by ice buildup. Photo by David Dodman, KNOM Radio Mission. The shipping season may not be over in Nome. Delta Western’s delivery of 1.6 million gallons of fuel was delayed by the storm and stopped by thick ice earlier this month. But Nome residents woke up to see the Coast Guard’s only functioning ice breaker–the Healy- anchored near town. Delta Western is now trying to figure out if a marine delivery is still possible.